Get your derby hats out, it’s time for an evening at the races. Dress in your race day best and get ready for a Kentucky Derby, Camp Lucy Style. 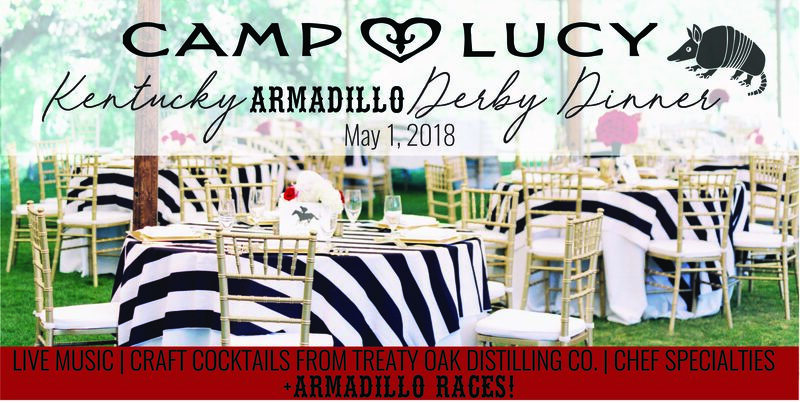 Join us for an evening of delicious derby-inspired food, signature Treaty Oak cocktails, live music, and yes, you read it correctly- armadillo races! Your ticket entitles you to specialty hors d’oeuvres, dinner, two signature drink tickets and admission to the armadillo races.